Spiritual surrender is not defeat, it’s victory, it sets you free. You may have come to surrender by feeling defeated, when you have exhausted all your resources and ways of making life “work”. When you’ve come to the point where there’s nothing more you can do and you simply have to surrender. That’s when you’re waving the white flag of surrender, and the stronger your ego, the more you feel defeated. The relief and peace within. It can be difficult to let go and surrender because we don’t know what will happen when we do and we want to feel safe and secure, so it’s scary. But as we grow spiritually, the more we learn the power of surrender and the more we surrender, the more powerful we become. It’s actually the opposite of what you might think will happen because now you’re not in the grips of your ego’s fears. It’s understandable that we think of things like money, responsibilities and so on, it’s human nature to think about those things since it touches our basic need for survival. The moment when fear sets in is when we are called to choose. “Well, what about money, ..what will happen if I surrender, will I be able to support myself..?” and questions like that naturally arise. And this is usually when worry sets in (if we go with the ego) and this is also exactly when surrender is called for. Will you go with the fearful voice in your head or will you take the chance of moving into the unknown, into the ‘unsafe’ territory where the ego doesn’t like to be? Don’t inhibit yourself by these fears and worrisome thoughts that comes up. 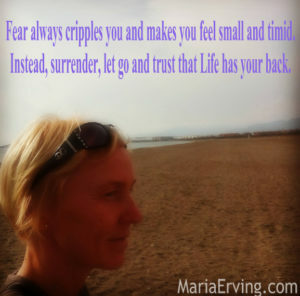 Fear always cripples you and makes you feel small and timid. 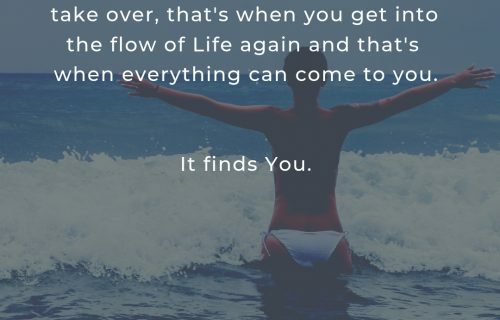 Instead, surrender, let go and trust that Life has your back and come to realize that surrender is actually empowering and liberating and not defeating at all. 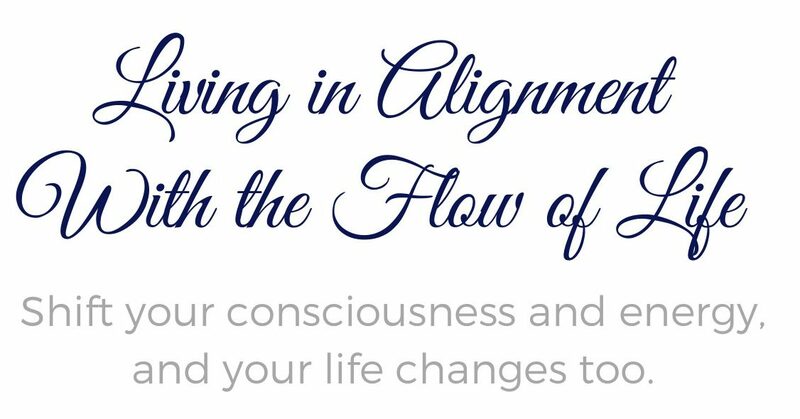 I’m conducting a distant group healing session on November 15th with the focus on surrender and opening your heart to what Life has for you. Fear closes the heart – surrender opens it. Let go of fear and resistance and surrender to Life. Click on image to get redirected to info page. Is Spiritual Surrender a Gradual Process or a One-Time Event? What Happens When We Surrender To Life? When To Take Action and When Should You Surrender? Distant Group Healing Session “Open your heart and surrender” is on November 15th at 6 PM CET/9 AM PST/noon EST. (Check your time here).